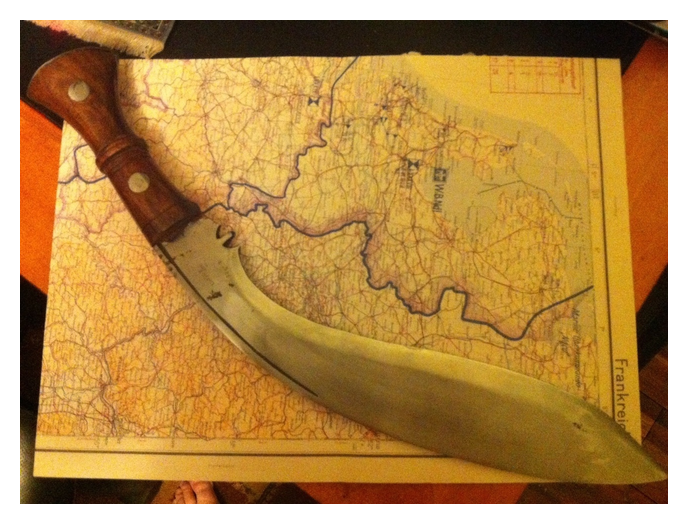 This is a kukri, dated 1916. It is stamped CoI↑GII 1916 43. The Co represents Cossipore Arsenal. The I, arrow & G represent the Indian Army mark. The II is the model number, in this case Mark II. And the 1916 is the year of manufacture. The 43 is the inspection number. I believe this to be an export Mk III that has been stamped as a WW2 era Mk II in order to fool collectors and make a little money. I wouldn’t call myself a collector of kukri so I don’t feel bad. 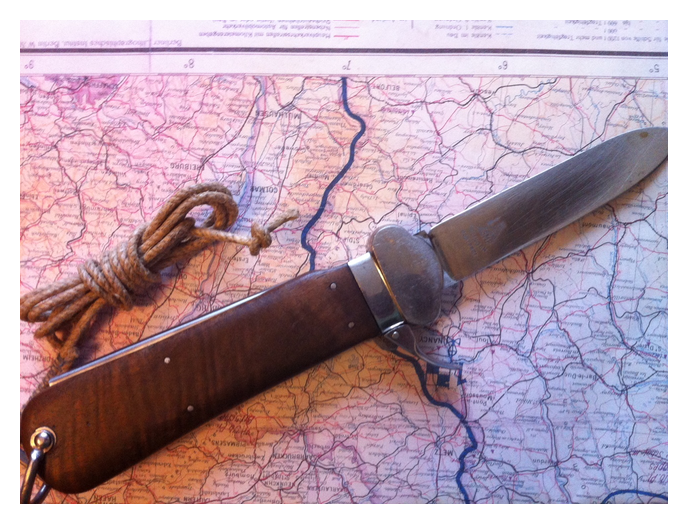 Luftwaffe flight crew gravity knife with an original cord lanyard. 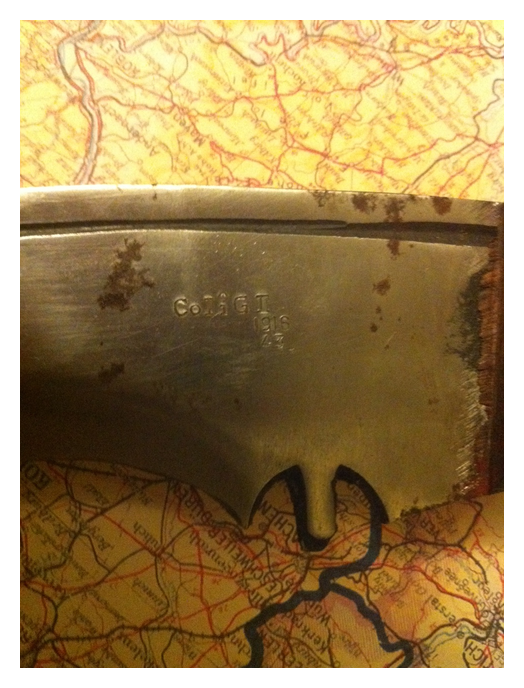 This example is manufactured by Stocker & Co, Solingen and has the seated king mark as well as SMF. 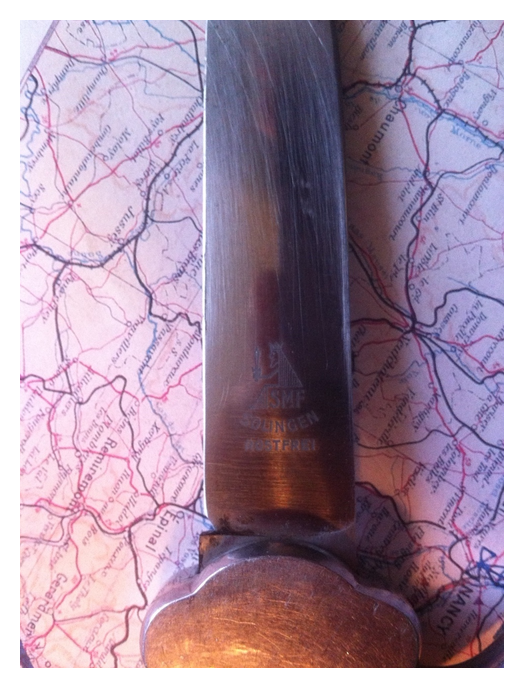 These knives are sometimes referred to as paratrooper or fallshirmjäger knives but this is incorrect and in fact they were issued to all flight crew.